When thinking about going to China, many brands would come across a word which sometimes bears a lot of significance — localisation. First step of localisation many brand managers and in-house marketers would come to think about is of course taking down the language barrier. They hire freelance language talents to translate all their website, social media feed and product packaging into Chinese. And then, they just put their feet up with arms satisfyingly folded in front of their chests and wait for their brands’ success in China. Well it’ll take a miracle for that to happen, if ever. True localisation, especially in a totally different cultural context such as China, is so much more than just language translation. The way your target audience thinks and behaviours is much beyond language, this is especially true with FMCG brands, as the products of these brands are used on a daily basis, which means that their interaction with customers is the most frequent and so most effective. KFC’s global expansion was far behind McDonald’s and Burger King. But their decision to add items of strong Chinese elements to the menu in 2008 helped them to equalise the difference with McDonald’s in China. Soy milk, fried dough, Old Beijing Chicken Wrap and so on are still some of the best-selling items in Chinese market. 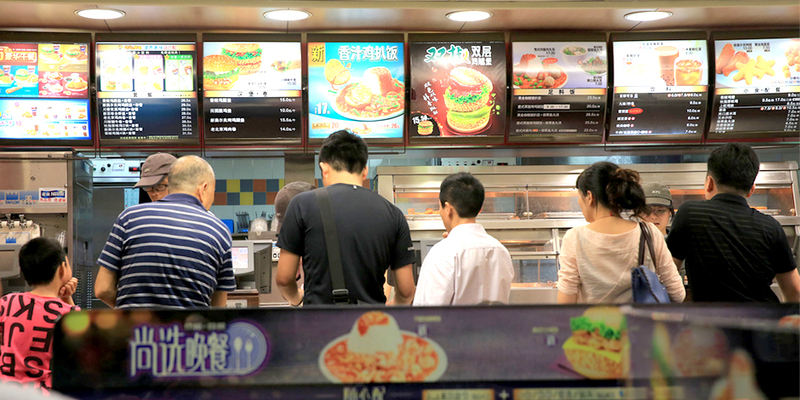 Research shows that KFC has a much better brand image in China than in most of other markets. Many respondents said KFC going the extra mile to deliver the truly localised fast food experience for Chinese customers earned their trust and respect. The lesson we can distill from KFC’s successful China strategy is that in order to win over Chinese customers, brands need to really respect and understand the customers they are selling to. Next PostThe booming popularity of Airport shopping for Cosmetic, fashion and luxury products and what it means for you?